In today’s connected world, it’s much easier for companies to do business with global suppliers—and more companies are doing so. Fortunately, there’s a simple way to pay suppliers in a foreign country: You send the money by wire. Problem solved. Or is it? In short, the answer is 'no' because bank wires are only a partial solution. Moving money through the bank pipes to the supplier’s account is the easy part of international payments, but it runs on decades-old technology. The ability to expedite information with payment—specifically remittances—is the real challenge. This places the burden of extra work and cost on both the supplier and the company sending payment. B2B fintechs are stepping into the gap to provide solutions for both parties by enhancing transparency in the movement of international payments and the associated data, from start to finish. Why is this so important? Both parties must reconcile the payment. For the supplier, the money showing up is always a good thing. However, without the invoice number, remitting company’s details, purchase description and amount, it is difficult to link a payment to an invoice or invoices. For example, maybe the name of the company sending the money doesn’t match the entity the supplier has on record. Or the supplier does a lot of volume with that company, and/or has several outstanding invoices of the same amount. There’s some detective work required with the payer to post the correct payment, and this takes time. Errors are inevitable, and they increase the time to process payments, and in turn, the cost. Suppliers don't mention this, but they often build these higher costs into what they charge. For companies working to keep costs down, and to maintain relationships with strategic suppliers, that’s an issue. 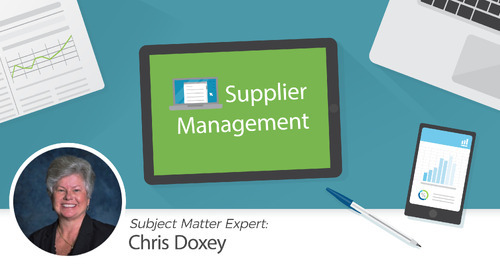 Keeping suppliers happy is one thing, but what about your internal AP staff? Lack of information and a manual-heavy, error-prone process makes managing international payments a headache for the payer. According to a 2016 McKinsey Report, “Rethinking Correspondent Banking,” about 60 percent of domestic B2B payments require manual intervention. With the added layers of correspondent banks, the lack of visibility into their fees, and the movement of payments in between, the need for manual intervention with international payments is almost a guarantee. First is the wire initiation process, which begins with typing all of the information into a form in your bank portal. Typically, you must do separate wires for each payment you want to make. This can take as long as 30 minutes per wire. Then you must manually enter the payment information into your accounting system, since there's no integration with the portal. To make things worse, you won’t know the full settlement amount of each wire until it hits your bank account. That introduces some cash management challenges. In addition to the invoice amount, your account is debited for fees from each correspondent bank. If you do a wire trace, investigation, wire recall, or Swift confirmation, additional fees apply. Not to mention foreign exchange fees. These are especially hard to estimate. Many banks use what is called a "day rate," which allows for currency fluctuations throughout the day, so it’s hard to know what rate you’re paying until the debit hits your account. Why has this remained such a manual, opaque, expensive process for so long? According to the McKinsey Report, banks have about 95 percent of the market share of international payments, and they’ve had it all to themselves for decades. But, just as with consumer payments, technology companies are starting to compete with banks by providing a better customer experience, with greater visibility, and lower, transparent pricing. By pulling all payment types—international wires, ACH, card, and check—together in a single interface, fintechs are making the initiation process faster, easier, and less error prone. No more back and forth between the bank portal and the accounting system. You can make your international payments in the same automated workflow as the rest of your payments, and you can see all of the fees up front. However, it’s sending the remittance information along with the payments, and syncing it all in the cloud where both parties can benefit. It sounds very basic, but getting the payment data tied to the payment isn’t something banks have achieved. The current state of affairs is that neither sender nor supplier knows what’s going on until they reconcile the transaction. This has been the status quo for so long that people think this is the best we can do. It’s not. B2B fintechs are redefining international payments to remedy this shortfall. It's an exciting time for anyone involved in making or receiving international supplier payments and for businesses expanding abroad. Being able to see and share remittance information is going to make international business more efficient and less costly. Mike is the Vice President of Sales, Southwest Region at Nvoicepay. He is an accomplished payment industry expert with more than five years experience in delivering scalable payment solutions.